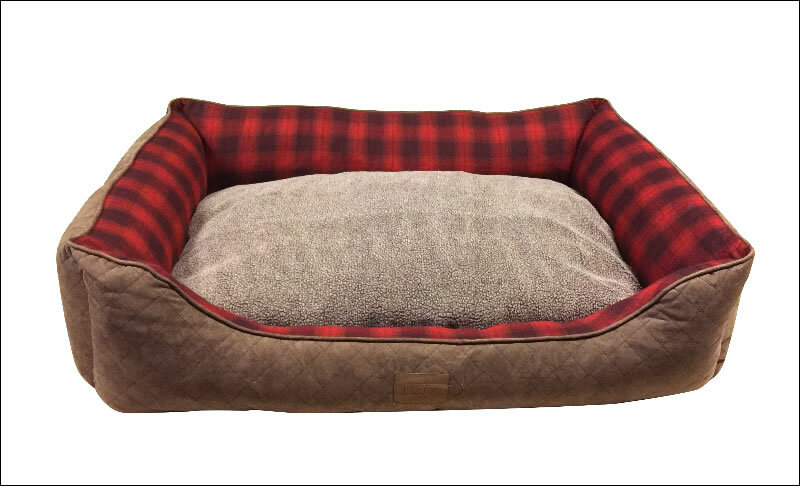 Inspired by the historic jacquard blanket patterns still woven in Pendleton's American mills, the classic Red Ombre Plaid Kuddler bed wraps your dog in style and comfort. The inner plaid is paired with a caramel quilted faux suede outside. The soft cushion displays plaid on one side and a super comfortable neutral Berber on the other side. 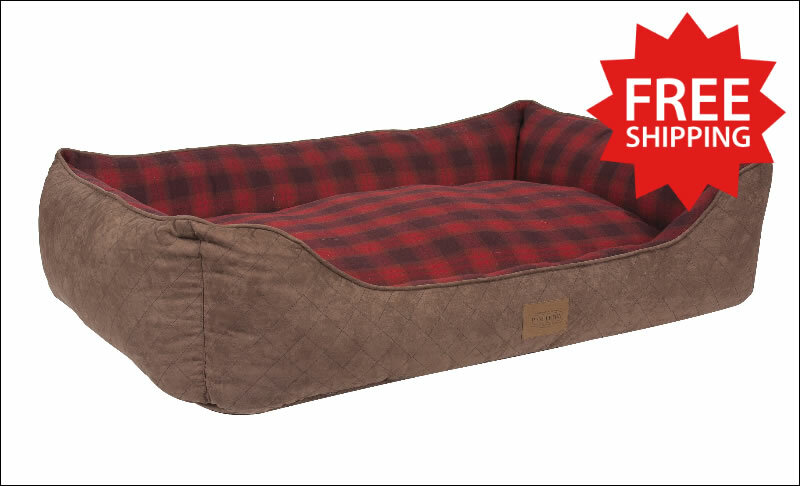 This classic red and soft black plaid bed is part of Carolina Pet Company's Pendleton Pet® collection.